It is with deep sorrow I deliver the sad news of Archana Bali’s death at 8:29 a.m. Alaska Time Monday, Sept. 8,2014. Thus ends Archana’s valiant fight against ovarian cancer for the past several years - a fight that she led always with a smile on her face and with her loving mother, sister, brother and fiancée by her side. Archana Bali was born in 1978 and spent her younger years in Bhopal, India. She received her undergraduate degree in Information Technologies and Systems Management, worked for Greenpeace India as staff, and went on to earn a Master's in Wildlife Biology and Conservation at the Center for Wildlife Studies in Bangalpore. Her Master's thesis was an interdisciplinary study that focused on coffee plantations of Western Ghats, with the goal of understanding the potential and constraints of wildlife conservation in human dominated landscapes. As a part of her study she interviewed plantation owners, did biodiversity sampling, analyzed policies constraining conservation actions of land owners, and launched a short but accomplished career as an interdisciplinary scholar of human-environment interactions. Archana came to the University of Alaska Fairbanks in the fall of 2007 as the first George Schaller Fellow and as a student in the Resilience and Adaptation Program. While in Alaska, Archana touched the hearts of many with her zest for life, warm smile, intense intellectual curiosity and empathetic nature. 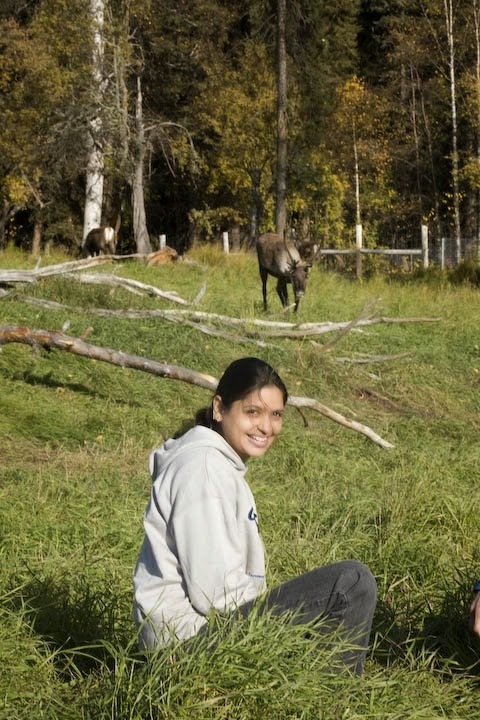 As an interdisciplinary PhD student, Archana examined Human-Caribou Systems in the context of climate change, working as a respected member of the CircumArctic Rangifer Monitoring and Assessment Network (CARMA). For her dissertation research Archana lived with Indigenous Peoples from Alaska to Quebec, documenting through videography their knowledge and observations of change, and making countless friends along the way. Based on her field work she produced the “Voices of Caribou People Project, an important legacy of the International Polar Year that resulted in an award winning film with international recognition. Archana always loved being in nature, and soon came to see Alaska as her home with great hopes of working in the future on conservation issues in the North and in India. It is her promise for future, her love and affection to all of us, and the happiness that we felt when she was around, which make her passing so very devastating. Our thoughts go to her mother, sister, brother, nephews, nieces and her fiancée, Martin Robards. She was surrounded by these loved ones when she bid adieu to this world.